This map contains territory of Russia. free map of Sestroretsk calibrated here. map of Zelenogorsk и OziExplorer calibration here. topographic map of Roshchino presented. free map of Tarkhovka displayed. actual map of Gorskaya for Garmin. free map of Repino with gps calibration for gps. detailed map of Yakovlevo displayed. map of Il'ichevo 1 cm to 1 km presented. map of Razliv this. detailed map of Solnechnoye here. interesting map of Komarovo for Garmin. 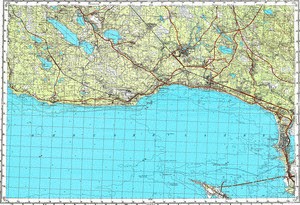 free map of Ushkovo free download. topographic map of Serovo download for free. topographic map of Zhuravki for gps. interesting map of Zelenaya Roshcha и OziExplorer calibration displayed. topographic map of Yukkola with gps calibration for Garmin. topographic map of Vorontsovo for Garmin.